As the displays of smartphones grow in size, more and more people are concerned about operating the phone with one hand. 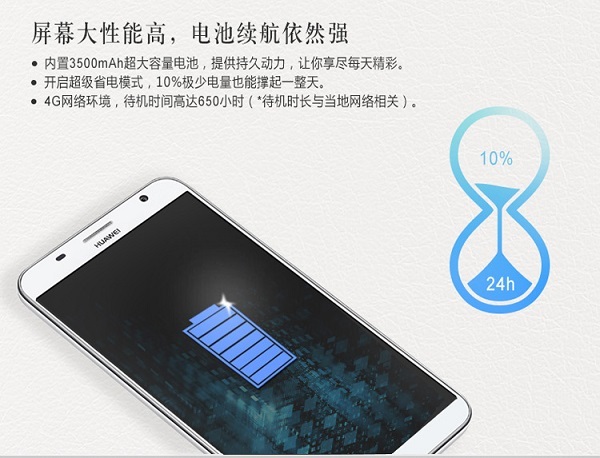 With that said, the Huawei Ascend GX1 might offer some remedy to this concern. Featuring a screen-to-body ratio of 80.5%, this new phablet from Huawei has a pretty thin bezel that effectively makes the phone smaller than other 6-inch phablets. As far as specifications go though, the GX1 isn’t much of a powerhouse. With a 6-inch 720p display and powered by a Qualcomm Snapdragon 401 quad-core processor clocked at 1.2GHz, it’s more of a mid-end device that will suit consumers who are just looking for an affordable phablet with a big display. Inside, the GX1 is equipped with 1GB of RAM, 8GB of internal storage, a microSD card slot that supports up to 32GB of memory,dual-SIM support, and Android 4.4 KitKat out of the box. 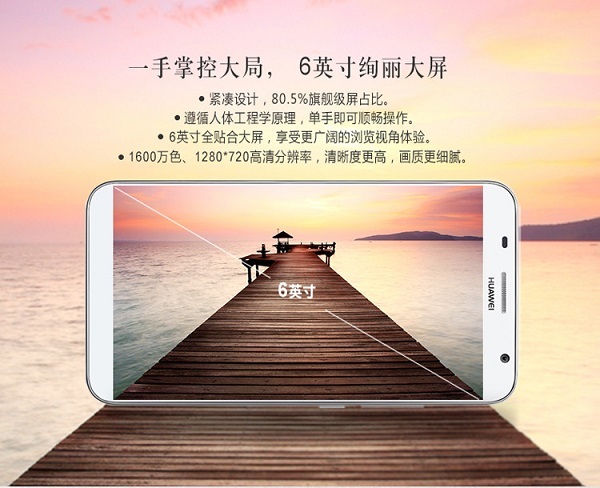 In the camera department, there is an 8MP rear camera and a 2MP front-facing one. Interestingly, the GX1 is equipped with a rather generous 3500mAh battery that should provide an adequate battery life. The GX1 retails at 1,590 CNY (about RM890) and is only available in China right now. 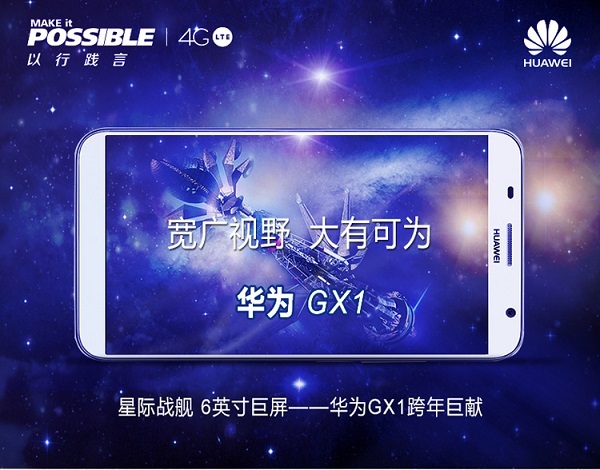 Although this latest offering from Huawei is not available outside of China yet, the GX1 features FDD-LTE support, which is commonly used around the world; this may suggest that a global release is imminent.